Nothing like a good ghost story as the leaves change and the weather adds a chill. I went to visit Raynham Hall Museum with Executive Director Harriet Gerard Clark after a recent meeting in Oyster Bay. 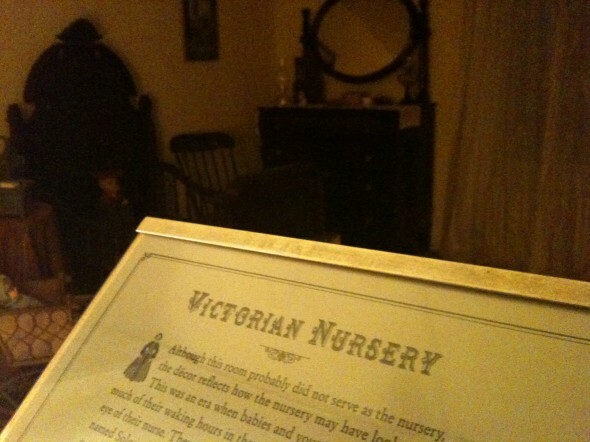 An after hours and after sundown visit to some speculative property in a sleepy town is always a good test of one’s courage — especially a property with a specter-filled reputation. But this property is as steeped in Colonial intrigue from the days of George Washington as it is in modern day ghost stories. But I will say it was strangely chilly. This entry was posted by John Pasmore on Thursday, November 12th, 2009 at 7:39 pm	and is filed under New York and tagged with Raynham Hall Museum. You can follow any responses to this entry through the RSS 2.0 feed.